Located in northern Florence, guest house Il Magnifico Soggiorno is on the top floor of a renovated building from the 19th century. It offers free parking and free Wi-Fi. Rooms convey a historic feel, thanks to antique wooden furniture, unique tiled floors and wall décor. Some also have four-poster beds and wood-beamed ceilings. 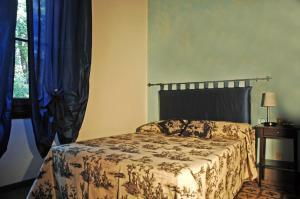 Facilities include air conditioning and LCD TV. The family-run Magnifico Soggiorno is less than a 20-minute walk from Florence’s historic centre and the cathedral. Fortezza Da Basso exhibition centre is 1 km away.